The plan was to create a world government. Three world wars would be created.1 The first would set up an illuminati controlled government in Russia. The second world war would allow them to conquer Europe from their secure base in Russia. The third world war would be an imitation of the Biblical Armaggeddon. These wars were to occur during the 20th century. The 20th century was to be a century of terror and war, so that by the time the third world war was over, the world would beg them for the New Order. They would be asking them to bring in the strong One-World-Government that they wanted to establish. We would ask them for what they wanted to do over 200 years ago. Because the center of power is in Great Britian, a great deception has taken place. Great Britian has "given up" her empire, has seemingly lost her power. The Masons in Great Britian try harder not to be seen associated with revolution, and not to be associated publicly with the occult. The British MI5 and MI6 operate under far greater secrecy than the American CIA. The power in Great Britian that issues directives has been kept very secret. Under the disguise of conquering nature, of protecting us from enemies (which they themselves created—sometimes real sometimes fictious) they have built powerful systems and technology to enable a few hundred men to rule over the billions of mankind. C.S. Lewis foresaw what was happening in his book The Abolition of Man, pp. 68, 69, 70, 71. This book due to space must limit its material to what relates to the religious side of the New Order. This chapter is about how secret intelligence cults have played a part in the formation of the New Age Religion. The intelligence groups and the Freemasons (which intertwine)5 not only have infiltrated into the Councils of Christendom but actually direct them. This is why the World Council of Churches W.C.C. and other Councils will be covered in this chapter along with the Intelligence cults. It is important for the reader to realize that both sides of many issues are controlled by the New Order. Indeed, many of the issues are contrived by them to manipulate us. In the past, some astute observers have noted that many of the powerful Christian men in the Councils (F.C.C.o.C., W.C.C., etc), were actually promoting a socialist agenda, and not a Christian agenda. Their interpretation of this was that these men were communists. In reality, these men were not communists, but men promoting the "Divine Plan of Ages" of the Secret Societies. They were promoting the Masonic One World New Order dream. During the Russian Revolution, while Trotsky was publicly making anti-American speeches, the U.S. and Britian6 were secretly aiding the new Russian government. U.S. troops were obstensively sent to protect the Trans-siberian railroad from the Bolsheviks, but the actual reason was to insure that the Japanese didn't enter Siberia, until the Communists took over.7 When these American troops left Vladistock, Russia, the Communists gave them a thankyou farewell.8 American equipment and military trainers were secretly sent to help the Communist army in 1919.9 President Wilson quietly sent Elihu Root (Kuhn, Loeb lawyer) to Russia with $20 million out of a special war fund. This transaction was revealed in Congressional hearings on Russian Bonds, HJ 8714.U5. Also this amount was recorded into the congressional record on Sept. 2, 1919. The New Age Magazine (official organ of the Scottish Rite) throws some light on this in an article "Freemasonry in Russia". "During the 19th century Masonry was regarded in Russia as a nest of atheistic revolutionaries and those working for the overthrow of Christianity and lawful government. 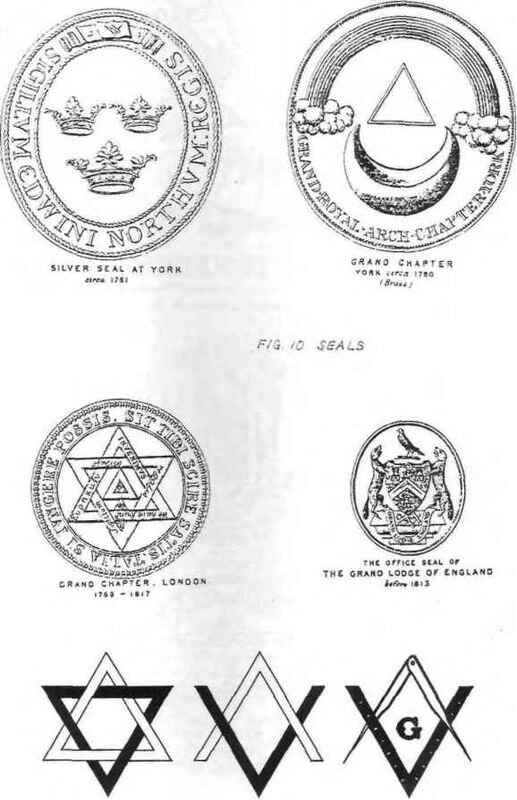 At the end of the 19th century a group of Russian Masons went to France and there joined Lodges, some under the jurisdiction of the Grand Orient of France and some under the Ancient and Accepted Scottish Rite, such as Kosmos and Mount Sinai. On their return to Russia they founded two provincial Lodges, the Polar Star in Petrograd and Regeneration in Moscow, ...By 1909, six Lodges had been established. There you have it from the horses mouth—THE MASONS CAUSED THE RUSSIAN REVOLUTION. However, this information will not be put into its full context for you by the Masons, for if the full context is seen, we realize that Jewish Masons, who were controlled and financed by International Bankers interested in a New-World-Order, caused the Russian Revolution. In 1920, the Bolsheviks began taking over the Russian oil fields. The Caucasus oil fields had slowed down, because the oil fields were not managed and water percolated into the wells. The Baku oil fields had required 50,000 feet of drilling per month to keep up production, but under the Soviets the average drilling per month in 1921 was 370 ft.23 Rotary drills would be needed as part of the solution to get the oil fields producing, but the Soviets didn't have any.24 Pravda announced in its Sept. 21, 1922 issue that an American company International Barnsdall would provide the technology and management to get Russia's oil field back into production. A frame, on the U.S. Dept. Decimal File, records that Americans went into the oil fields to superintend the work.25 Who was the chairman of International Barnsdall? A 32 degree Mason named Matthew C. Brush. In July 12, 1925, an agreement was reached between W.A. Harriman Co. of New York and the U.S.S.R. for exploitation of the Chiaturi manganese deposits.26 The Harriman operating company was named Georgian Manganese Company. And the man running it was 32 degree Freemason Matthew C. Brush (also a KT & Shriner). In 1924, Harriman (S & B Order) gave a loan to the Soviets. This was against U.S. law at the time, and the Dept. of State at that time had jurisdiction to investigate. But it didn't even after the loan's existence had quietly slipped through the Power's censorship and appeared in the London newspapers.